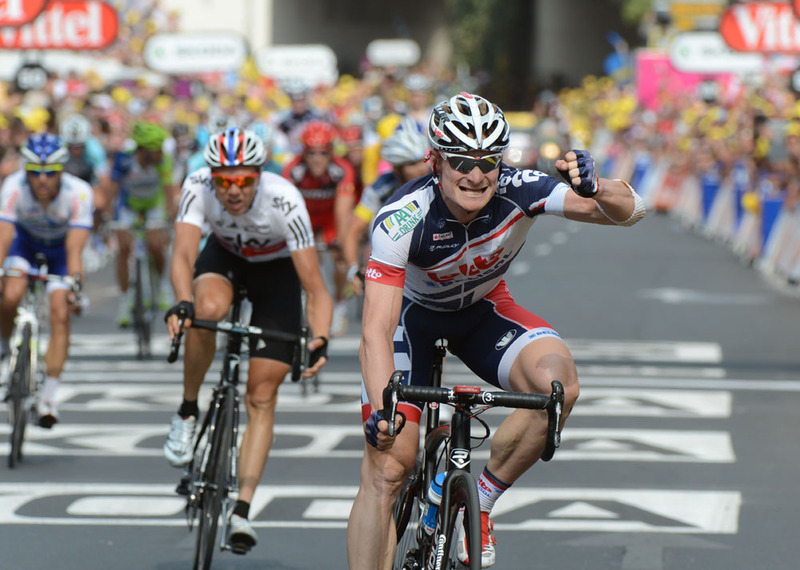 André Greipel won his third stage of the Tour de France, pipping Peter Sagan in a thinned down bunch sprint in Cap d’Agde. The short steep climb of Mont Saint Clair, followed by 20km of cross- and head-winds to the finish, ended the chances for all the sprinters except those two. It was never in doubt that the lunge for the line would be between them; in the end, Greipel’s lunge was better timed that Sagan’s. The win puts Greipel level on stage wins with Sagan, although the Slovak’s lead in the green jersey competition at 64 looks even more comfortable as Orica-GreenEdge’s Matt Goss was one of the sprinters who couldn’t stand the pace today. The sprint finish came courtesy of race leader Bradley Wiggins who hit the front in the last 500 metres to lead-out teammate Edvald Boasson Hagen. It’s a rare sight to see the yellow jersey lead out the sprint, but Wiggins, perhaps keen to repay all of Boasson Hagen’s work in the mountains, lined out the small bunch and flew past two late escapees. Boasson Hagen though had to start his sprint too early and realistically never looked sharp enough. The lead-out was actually only part of the story as Team Sky made a conscious effort to stay at the front both in the tricky final stages and on the climb of Saint Mont Clair. The third cat climb at 23 kilometres to go made the bunch nervous a) because of its steep sections and b) because everyone knew there were strong crosswinds blowing the other side of it. Had a favourite been caught out on the climb a desperate chase would have ensued. 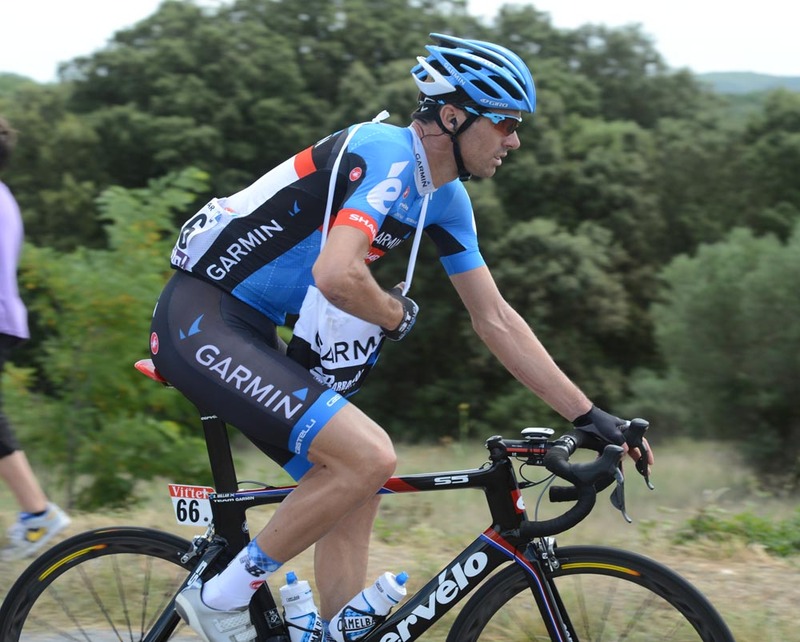 Cadel Evans had made a move on the climb, going after Katusha’s Giampaolo Caruso. Initially he got a good gap and there was the potential for danger as the narrow roads – made narrower by the spectators – allowed little room for manoeuvre for any rider caught out of position. But Wiggins didn’t panic, riding himself across the gap, in the saddle spinning a small gear as smoothly as he always did when racing on the track. Chris Froome, Vincenzo Nibali and Jurgen Van den Broeck were on his wheel and the Evans threat was nullified as quickly as it had appeared. 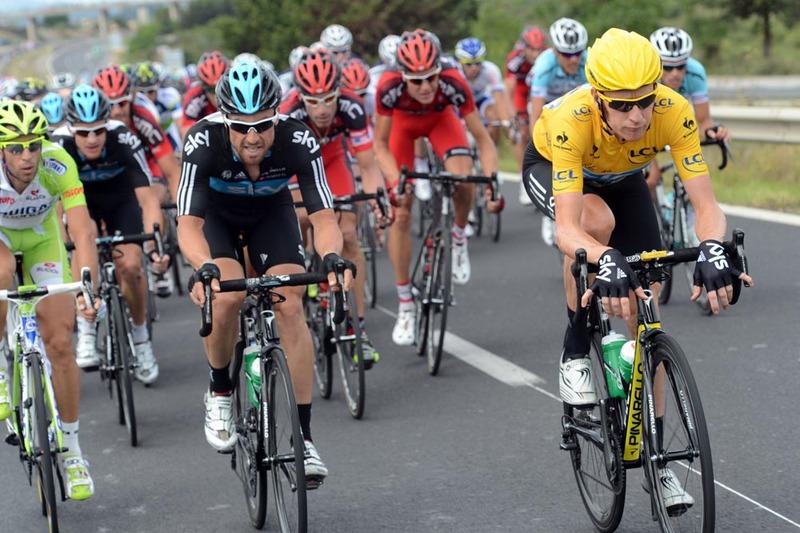 The tussles at the front did, however, finish the chances for Mark Cavendish today. The world champion was dropped on the steep slopes and with no team mates around him, he sat up and let the race go. Matt Goss, who is yet to get a stage win at the Tour, also missed out despite his teammates having done a lot of work today. Had the wind not been blowing the pair would have probably made contact with the leaders after the descent, but just the threat of a crosswind is enough to speed a peloton as everyone tries to move to the front to avoid being caught behind a split. At one point in the last five kilometres the peloton was only 25 riders strong as Lotto chased Alexandre Vinokourov and Michael Albasini on the exposed roads. The pair never got more than 20 seconds lead, but a sizeable group of riders were put in difficulty because of the chase. The pair weren’t strong enough to hold on, and late change in direction brought the two groups back together. Once the wind was behind the riders it made life easier for everyone, lessened the urgency and guaranteed a bunch sprint. After his lead-out effort Wiggins climbed on to the podium to pull on his seventh yellow jersey. With each day he looks more and more suited to one of the most famed colours in world sport.